Child Maltreatment: Contact your County Social Service Office. 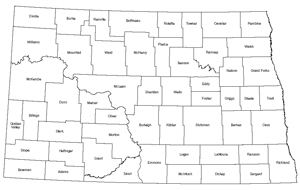 A directory of 53 county offices is available online from the ND Department of Human Services. Elder Abuse: 800-462-5465 for suspected elder mistreatment in the home and long-term care facilities. Domestic Violence: National Domestic Violence Hotline 800-799-7233 or CAWS North Dakota 888-255-6240. NOTE: Few North Dakota counties have animal control or humane societies empowered to investigate animal abuse, so such investigation would normally default to the sheriff’s office. However, there is no duty for North Dakota peace officers to enforce animal protection laws!